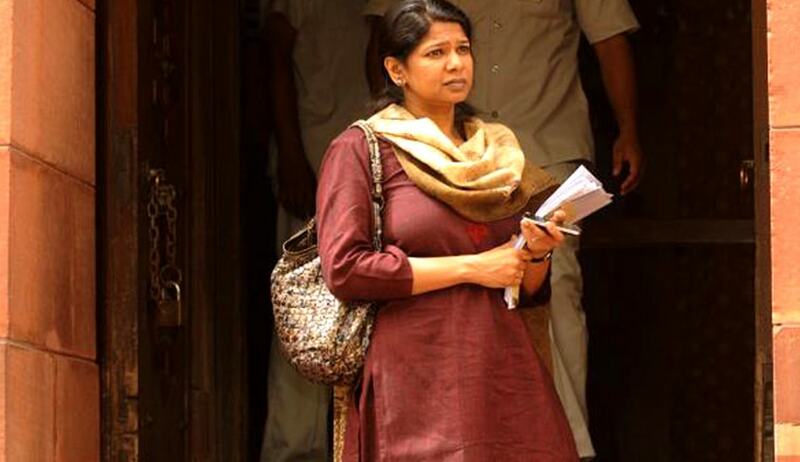 The Supreme Court on Tuesday dismissed Dravida Munnetra Kazhagam (DMK) MP Kanimozhi’s plea to quash charges framed against her in the 2G case after keeping it pending for over two and a half years. A bench of Chief Justice H.L. Dattu and Justices A.K. Sikri and Rohinton Nariman said the evidence is almost over and the trial court will now decide whether Ms. Kanimozhi is guilty of the charges against her. "Now the trial is almost over. 2G Special Public Prosecutor Anand Grover submits that evidence is complete. Final arguments are coming to an end... At this belated stage, we are not going to entertain this petition," Chief Justice Dattu observed. Senior advocate Amarendra Sharan, for Ms. Kanimozhi, said the petition had been kept pending by the Supreme Court for over two and a half years for no fault of his client. Mr. Amrendra Sharan appearing for Ms. Kanimozhi argued that criminal charges can be framed against a person only if there is grave suspicion verging on certainty against her. Earlier, Ms. Kanimozhi had moved the Supreme Court in July 2013. Ms. Kanimozhi said she was one of the directors of Kalaignar TV for a mere two weeks, from June 6 to 20, 2007. She resigned much before the launch of the TV channels and she had not signed any cheque on behalf of the company or received any monetary benefit. Besides, she was only a 20 per cent minority shareholder, and a shareholder could not be charged with criminal liability for acts of commission and omission of the company, she told the court. It is pertinent to note that the Supreme Court also modified its 2011 order by which it had restrained all other courts to entertain plea of any accused in the case.